Paying for college tuition may be on your mind if you have children or are planning your own career development. Along with asking how to cover these expenses, some may be surprised to discover how much college will actually cost, whether this year or 18 years from now. These tips for paying for college can help you plan for upcoming education expenses. According to the most recent figures from the National Center for Education Statistics (covering the 2014-2015 academic year), a year of tuition, fees, room and board at a higher education institution in the U.S. ranged from $16,000 at a public university‡ to nearly $42,000 at a private nonprofit college, on average. In the 10 years prior to that study, the average cost of tuition at public universities rose by 33 percent after adjusting for inflation. This data tells us college is expensive, but, more importantly, that its costs could be even higher in the next 10 years. That means parents and anyone hoping to attend college in the coming years needs to prepare for these expenses. Fortunately, there are a variety of ways to save and pay for college, including investment funds, savings vehicles, loans and scholarships. Many who attend school use a combination of these methods to ensure they are using the strategies that work for them to pay for their education. Time is the most valuable asset for parents who want to save for the educational future of their children. Along with diligent saving over several years, many Americans utilize a 529 plan‡ to stash funds for education. These are state-run investment programs that offer tax-advantaged growth, not unlike a personal retirement account. College savings plans: These are the most common type, which allow contributions to grow tax-free and may be withdrawn tax-free as well, provided the money is used to cover education expenses like tuition, room, board, and textbooks. Prepaid plans: These plans are available in only 12 states, but let savers pay some or all of future tuition costs in advance over several years. Prepaid plans also lock in the cost of tuition at a public university in that state as soon as they are opened. There are no restrictions on who can invest in a given state’s college savings plan, although prepaid plans have some requirements. 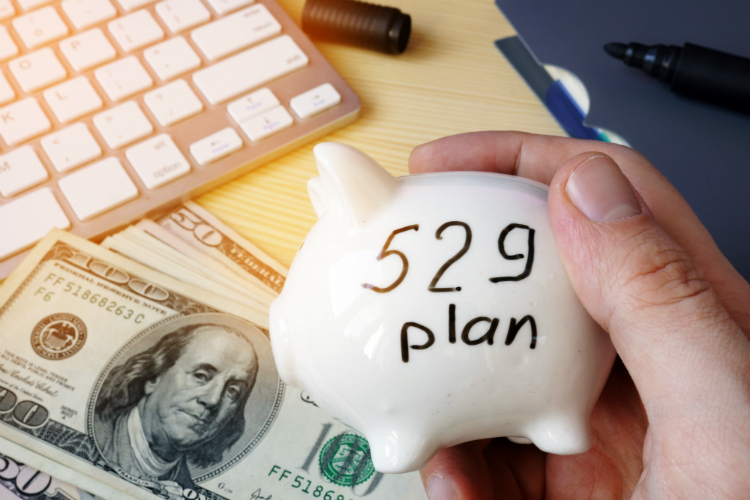 If you are a U.S. citizen, you can contribute to any 529 plan, and use those savings to attend college or pay tuition elsewhere. However, states often offer additional incentives for their residents, like incentives for funds used at local public institutions. Saving as much as possible, as early as possible, is never a bad idea where education is concerned. Still, a typical four-year degree from even the most affordable universities can easily total tens of thousands of dollars. To diversify your savings options, some individuals supplement those long-term savings plans or reduce overall costs by applying for grants, scholarships and student loans. Luckily, a wide array of programs are available to help you or your child find supplemental education funds. A great way to sort through these choices and find the right one for your particular situation is by completing the Free Application for Federal Student Aid‡ (FAFSA). Students may complete the FAFSA in the fall before they attend their first semester of college. 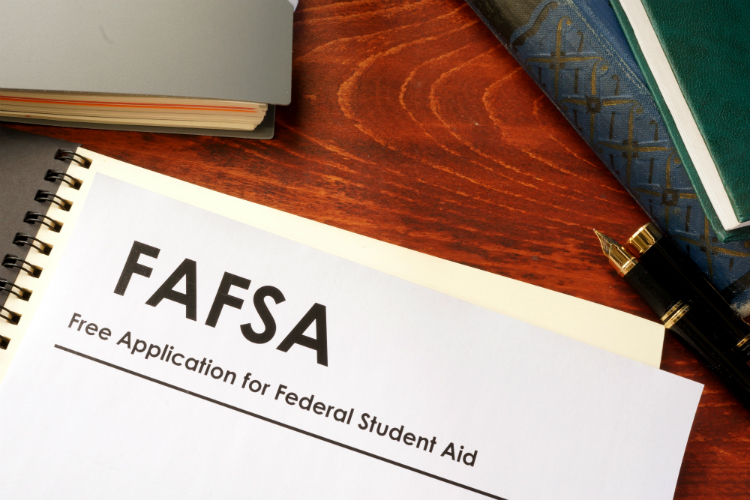 However, it is recommended that the FAFSA be completed as soon as possible—usually as soon as necessary taxes have been filed in the spring. If you have your materials gathered, it takes between 30 minutes to an hour, and it will use your personal information to create a list of potential financial aid options, including various grants, scholarships, work-study programs and loans. The FAFSA is highly recommended as the first step for any students and their families as they start planning how to pay for college. Just remember; the FAFSA must be completed for each year the student plans to attend college. Of course, the search for funding assistance doesn’t need to end there. A bit of research online can help you find even more financial aid options. It’s also important to talk with financial aid counselors at the college you plan to attend to learn more about financial aid access and additional tips for paying for college. It’s not unusual to stress about confronting the cost of college, but with a plan of action in place, you can feel confident and prepared when the time comes. Stay informed on industry trends and noteworthy company news by visiting our UMB in the News section on umb.com or following UMB‡ on LinkedIn. Interested in learning more about financial preparation? Visit umb.com/personal.